All Things Fabric & Manja Pai Magic, This Brand's Fabric-Based Products Are Lit! 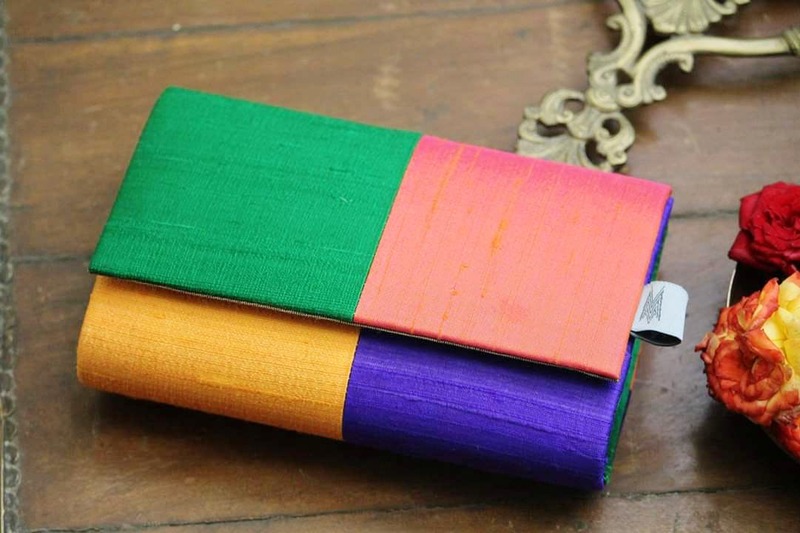 From cloth bags and totes to cardholders and stoles, Madras Motifs is all about that fab (ric). The home-run brand started by Sudha Sekhar has a range of handmade fabric products including bags, aprons, stoles, and stationery. Sudha currently works out of her studio. In the bag section, they've got totes, wallets, pouches, handbags, and slings starting INR 500. Expect fabrics like ikkat, cotton, just cotton, and chanderi on the bags. Sudha associates fabric with "manja pai" (yellow bags used for shopping in olden-day Madras) and that remains key in the brand. We love the designs, right from simple patterns to quirky kalamkari. The pouches with Madras checks are a winner and an explosion of colour. We love the maroon sling bag with chunky beads and geometric shapes. The fabric card holder is for the stationery hoarders - the cardholders have pockets for you to keep your cards, cash, and small accessories, and the prints they come in are a stunner (peacocks and elephants, for instance). If you’re a sucker for tiny wallets, the blue one with white circles and a little button is adorable. Check out Madras Motifs for some drool-worthy fabric-based products and bags.